Auburn University student Carly Westmoreland is hoping through her studies in the Rural Medicine Program, she can provide needed family healthcare to small communities like the one in which she was raised. Originally from Addison, Alabama, Carly said she saw how important a doctor was to a small community and how many services one doctor could provide. Carly is currently a senior studying Biomedical Sciences with a Pre-Med concentration in the College of Sciences and Mathematics (COSAM). 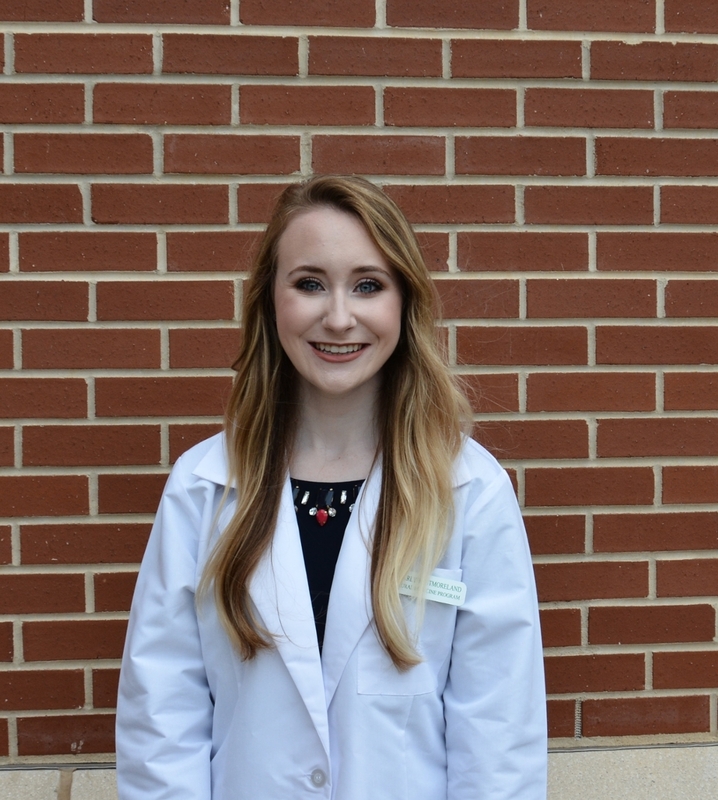 The summer after her sophomore year she participated in the Huntsville Rural Pre-Medial Internship, which solidified her desire to be part of the Rural Medicine Program. The Rural Medicine Program is a jointly sponsored program between the University of Alabama School of Medicine and COSAM. The program is designed to increase the number of family-practice physicians serving rural Alabama. “It’s a perfect fit for me,” Carly said of the program. While growing up, Carly was an Alabama football fan and said she originally planned to attend the University of Alabama. During time away from school, Carly also tutors Honors Organic Chemistry, plays intramural volleyball and officiates volleyball for the Alabama High School Athletic Association. Carly said she acquired a love for the sport while playing in high school and enjoys officiating at regional high schools. “I’ve enjoyed that because it keeps me involved in volleyball, but it’s also allowed me to experience different parts of Alabama,” she said. Throughout her time at Auburn, Carly has volunteered at the Auburn United Methodist Church Food Pantry, Storybook Farms, and the Little H.A.P.I.E. Tree Preschool program at Auburn Early Education Center. In May she will graduate as an Honors College graduate. Carly will begin medical school at the University of Alabama School of Medicine at UAB in the fall and said she feels well-prepared.